For the past couple of years I helped the good folks at Shopify with their 3D model platform. We put together the basis for their 3D model support, and did some experimentation with ways in which AR and VR can be used to enhance the shopping experience. It was a fantastic opportunity, and there was a LOT to learn about the process of working in VR and AR. One of the main takeaways for me was that there is a ton of potential with this technology. I am sure that we will see it make its way into many aspects of our online and offline interaction, both at a social and individual level. The potential here is just mind blowing. At its most basic, the tech allows us to preview objects at a realistic scale, almost the same way we would do in real life. At the other end, we have the potential of making the Star Trek Holodeck a reality. This isn’t within the realm of Science Fiction anymore. It is now a distinct possibility. If you haven’t tried VR on an Oculus or Vive system yet, it is an experience that can’t quite be captured with words or pictures. You must try it for yourself to understand how immersive it is. 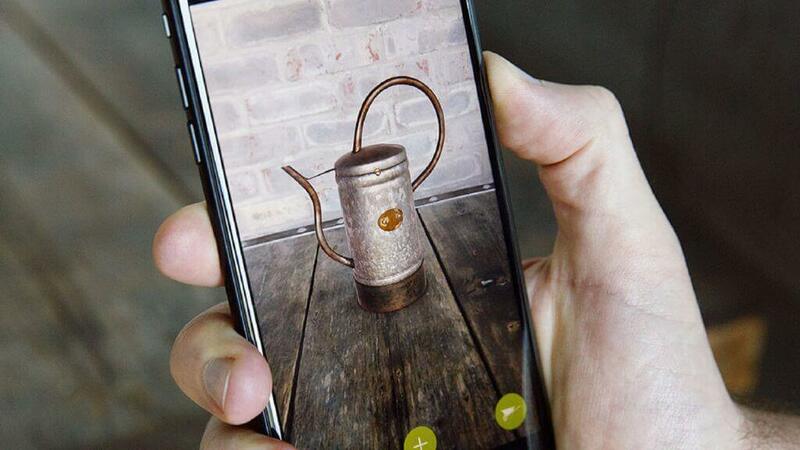 Among some of the work I did at Shopify was to figure out the best way of presenting real products as 3D models in real-time either on a store web page, or through AR on our mobile devices. Recently, I wrote an article for the Allegorithmic Blog, outlining the steps that we took in preparing the 3D models. It is centered around using Substance, as it plays a big part of the process, but I also describe the concept in general.